The so-called PlayStation phone was expected to launch with the O2 UK network on the 1st of April. But things won't be going as planned, according to Stuart Hibberd - head of O2 device testing team. The smartphone, reportedly, has some software issues which need to be ironed out before it can hit the shelves. The delay is a precaution so that O2 customers don't end up with negative experience, Mr. Hibberd says. 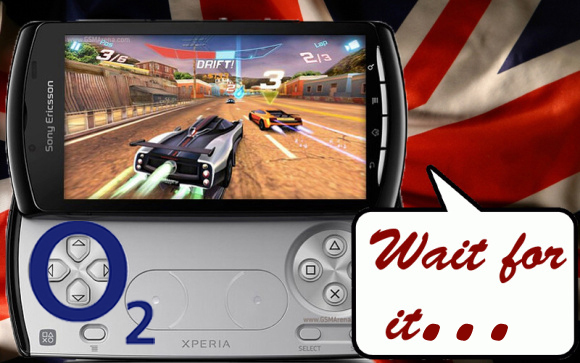 The XPERIA Play was scheduled to launch with all major UK carriers on the first day of April. So far software problems have been reported only by O2, so the launch date should be kept by Vodafone and Orange. This could really end up being a bad blow for O2. The Sony Ericsson XPERIA Play bound for release with O2 will be an exclusive white color version so that should give the carrier at least a marginal edge. The expected date for the actual release on O2 is a mystery so far. We hope it doesn't take too long. usual android carbage as usual. Lets see, will 50% of games launch successfully, from those will 25% be able to enter the first screen, and will 10% be able to finish the game in a timely manner? this will not of been ordered via the o2 website, as i have tried to order and you cannot!!! so any issues they have will not be supported by o2 until it is officially released! !